You guys know I love a good tofu scramble. I’ve found some amazing ones during my travels this year, including one at Fiction Kitchen which is even close to home! This Bánh Mi Scramble from The Complete Guide to Even More Vegan Substitutions is the most adventurous tofu scramble that I’ve ever seen. I love the quick pickle and can’t believe how smart a way it is to use up some extra broccoli slaw. This would make a great chilled salad in addition to a traditional hot scramble. Joni and Celine have created recipes to make all of your pre-vegan favorites and have taken them to the next level for those of us who have been vegan awhile. A few of my favorites: Cojita-Style Tofu Crumbles, Chia Seed Cream Cheese, Bahn Mi Tofu Scramble, Soy-Free Passion Fruit Curd, Chickpea Teriyaki Croquettes, and the one that blows my mind the most – Sweet Potato and Avocado Sushi! There are plenty of gluten-free, soy-free, nut-free and no oil added options, so it should fit in with most diets. I love the book and think you will use it a lot too! Are scrambled eggs one of the foods that make you reticent to commit fully to veganism? 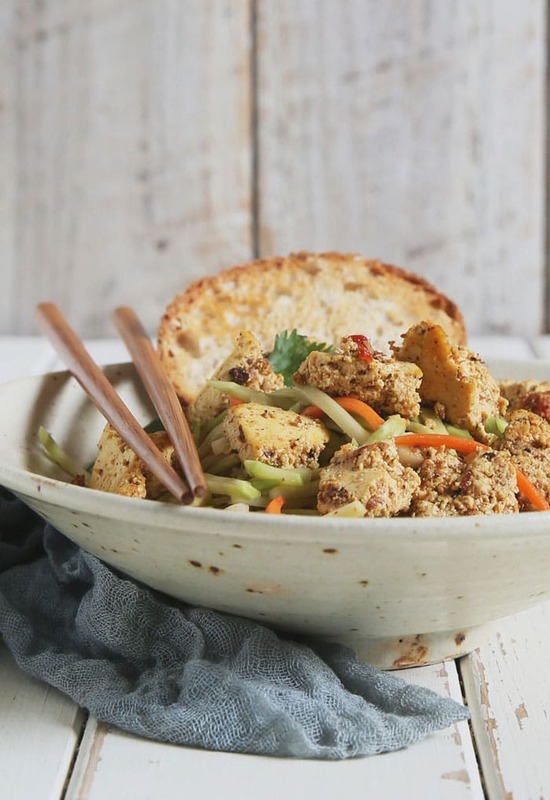 We’re confident you won’t miss a thing with this refreshing tofu scramble. It’s a good fit for any-hour meals, and that allows you to enjoy the flavors of the traditional Vietnamese sandwich in an “unsandwiched” way. 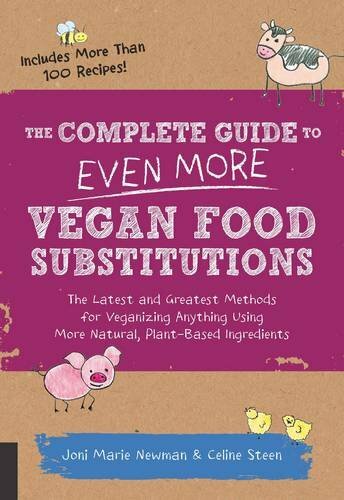 This recipe is from The Complete Guide to Even More Vegan Food Substitutions. To make the slaw:In a large bowl, thoroughly combine all the ingredients. Cover and store in the refrigerator for at least 30 minutes before, or up to 2 hours before. To make the tofu:Heat the oil in a large skillet on medium-high heat. Add the tofu, sprinkle the broth powder on top, and stir well. Cook until browned and crisped, about 10 minutes, regularly scraping the flavor-packed browned bits at the bottom of the skillet with a wooden spatula. In a small bowl, combine the tamari, vinegar, lime juice, jalapeno pepper, minced scallion, ginger, and garlic. Add on top of the browned tofu. Cook on high heat for another 2 minutes, or until mostly absorbed. Evenly place on top of the pickled slaw, and sprinkle with cilantro leaves just upon serving. Serve with slices of baguette. This recipe tastes great at room temperature, too, which makes it ideal to take for lunch at work or for picnics.